Stirred-Curd Farmstead Cheddar. Served mild-medium (3-6 months), yielding a young and mild cheddar-style cheese. 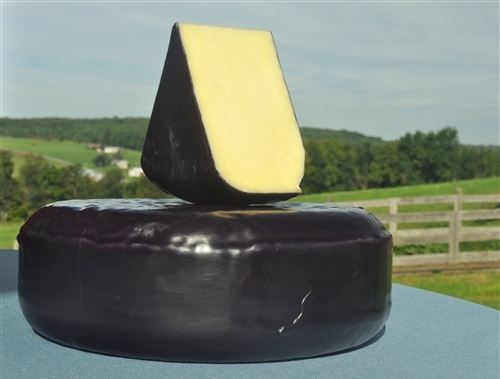 8 lb wheels are encased in black cheesewax and aged for a minimum of 60 days. Each sales unit contains one full pound of cheese vacuum-sealed for freshness. We recommend removing the packaging and storing this cheese in wax paper in your home refrigerator.